Yuri Shulgin, russian multi-instruments jazz-derived artist, on Black Sunshine Records with a warm inspirational joint. 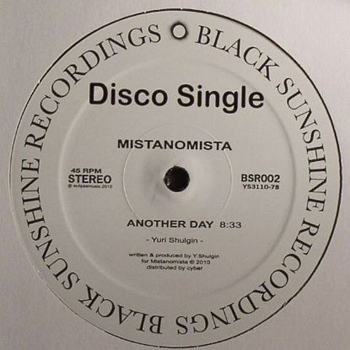 “Another Day” is one of those particular tracks that you never get tired of, highly influenced by Moodymann and Detroit scene. It’s a perfect mix between raw deepness and soulful and jazzy elements. An amazing production to listen or to dance to. Vocals are always the same along the tune, but the feeling is so strong that it never gets repetitive. Mistanomista is going to be on the top of your favorite artists list with this breath-taking and timeless piece of art.